As well as revealing the very best of metal heading to UK shores, motor shows are also great at offering us a glimpse of whats to come in the future. 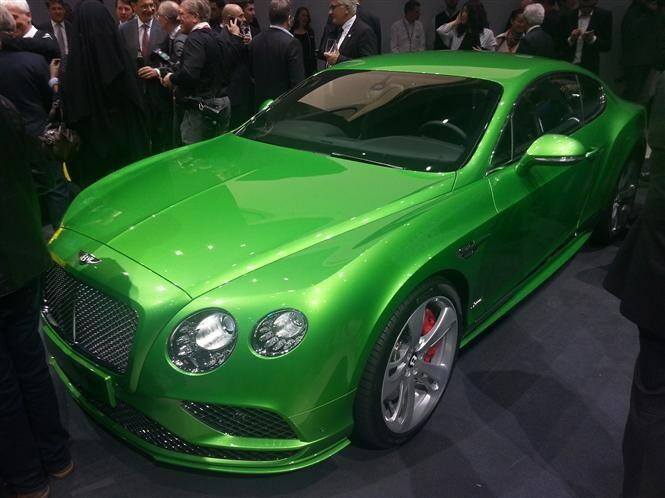 Here at Parkers we love a concept car and we’ve picked our best from this year’s show. The Audi prologue Avant is a new take on the sporty looking shooting-brake estate shape that is becoming increasingly popular. It has five doors, four seats, and showcasing Audi’s new high-resolution Matrix Laser headlight technology, which offers even more patterns than before. Inside you get a full-width digital dashboard, made up of three touch-screens. Rear passengers can be entertained with a flexible screen bent across the back of the front seats. 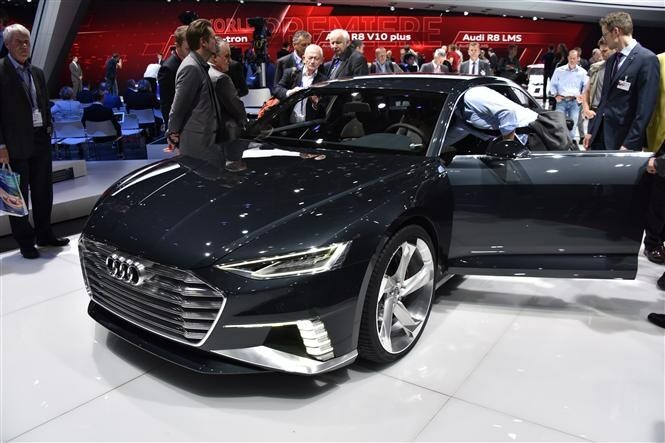 We can see a lot of Audi's future tech showcased on this car, including Matrix laser headlights and of course the latest in infotainment. It also hints towards a new bodystyle for the brand. Bentley is best known for its luxurious grand-touring coupes so this EXP 10 Speed 6 concept, a two-seater sportscar, is a divergence from the norm. It features plenty of the traditional design cues from its bigger brother, the Continental GT, but with a handful of modern touches and the promise of exciting new technology, too. 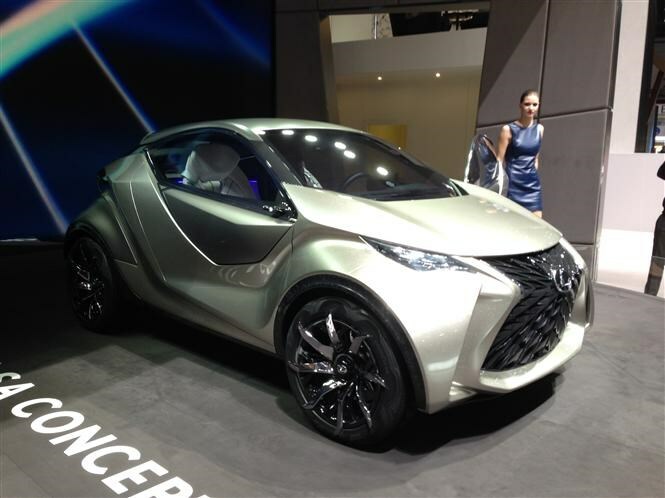 This is the Lexus LF-SA small city-car concept, which offers driver enjoyment as its defining quality. Measuring just 3.4 metres long and 1.4 metres high, the Lexus should be manoeuvrable and agility for tight city streets. Despite this, it promises a spacious interior which is focussed towards the driver, with adjustable steering wheel and pedals and a static driving seat. In one simple answer: this will be the Japanese Audi A1. That's where Lexus will aim the car. In other words, we suspect this car won't remain a concept for long. According to our sources, this concept hints very strongly to the next ASX crossover. 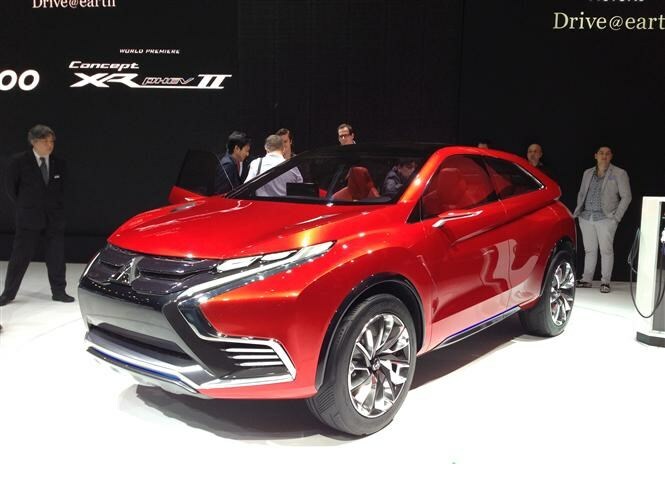 Like the Outlander PHEV it will feature a hybrid power system that combines a conventional engine and electric motor. Although it’s not quite ready for production, we are expecting the new ASX to be unveiled later this year. From the Outlander we already know that plug-in hybrid vehicles work very well, but a new, smaller SUV could be a big seller for the firm. 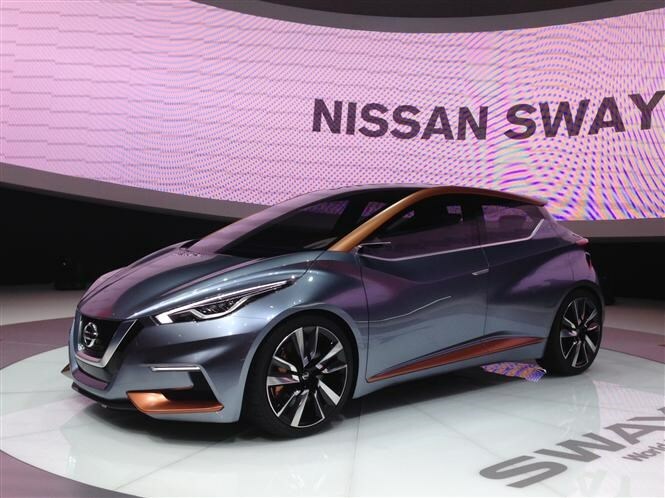 Imagine a hatchback with the bold, swoopy styling of a Nissan Qashqai, and you’ve got the Japanese manufacturer’s latest concept - the Sway. With the aim of shaking up the small hatchback world, the Sway features exposed structural elements inside and what Nissan calls “boomerang lamps” outside. Other unusual but interesting highlights include backwards-opening rear doors and no B-pillars to clamber around. This could well be the replacement for the Micra, and it can't come soon enough. The little Nissan hasn't exactly been a hit in its latest incarnation. 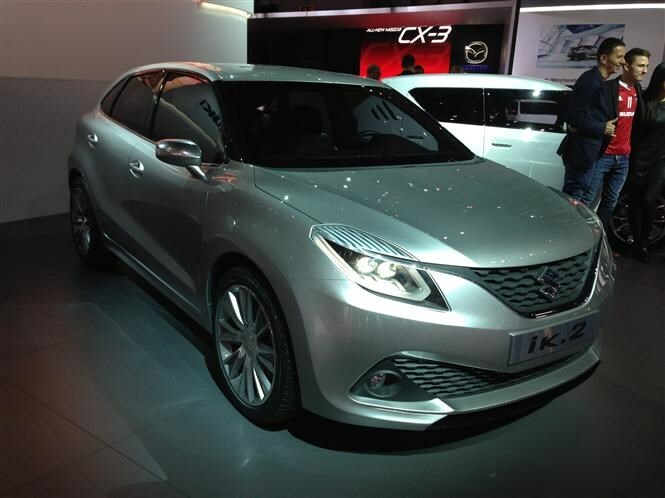 The Suzuki Ik-2 concept is a blend of hatchback practicality and economy, and is based on a brand-new platform. The concept features new environmentally-friendly technology, including a “Boosterjet” direct-injection turbocharged petrol engine, or a hybrid system. It is also lighter, which should encourage higher more miles per gallon. Suzuki says it will feature key hatchback ideals including utility, comfort, and manoeuvrability. This is almost a missing link for Suzuki - it's a hole in the firm's range that needs filling, so it wouldn't be a huge stretch to imagine this concept becoming a reality. This is Infiniti’s latest concept to be revealed, the QX30, based on the Focus-sized Q30 hatchback, another car that’s only been released in concept form so far. 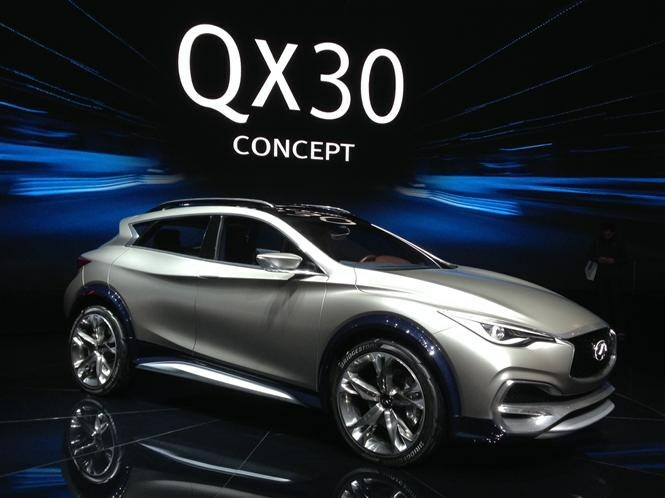 The QX30 is set to be production-ready in 2016 and little is likely to change from this car to the car we will see in the showrooms. Combining the sleek lines of the coupe with the command sitting and all-wheel drive of a crossover, the new QX30 is well placed to take on premium rivals like the Audi Q3 and BMW X1. We know the Q30 hatchback is coming - it'll even be built in the UK - and the QX30 is a natural progression from that car. A bit of a no-brainer for Infiniti.